"How," you ask, "Do I get FREE ADT Monitoring?" Pierce, your neighbor drops by at 11:36pm to use your cell. His power is out, his cell is dead and he's got a huge client meeting in the morning... only if he confirms before 8am that is. As you open the door... because you are literally the nicest neighbor on this planet, the ADT Pulse activated lamp comes on. After Pierce makes his phone call, he asks if the light is wired to the door. "No, it's ADT." You say... after all, your not exactly chatty Kathy at 11:30pm. "Oh, I been thinking about getting an alarm. Did you like the company?" You think for a minute, "Yes. Actually, their rep Brandon came out and it was one of the best customer service experiences we've had." "Cool," he says... "Can I get their number?" He gets it... "Not now, tomorrow is great. You go back to bed." Pierce leaves, he gets the phone number and a HUGE client thanks to you. 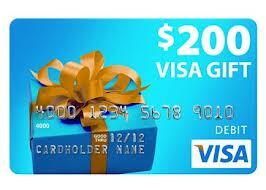 You get a Visa gift card for $200 in about 6 weeks thanks to him. That pays 3-5 months of your ADT monitoring, depending on your service level. This actually happens all the time! Clients tells us their friend "just noticed" their alarm. Many times, people will ask about it. IF we've done our job and earned your trust, your part is simple. Hopefully it doesn't happen at 11:30pm in your case. A second option is for professionals that interact with homeowners, check below to see if you qualify to be one of our referral partners and earn many referral rewards. Rewards that many professionals gift back to their clients keep them coming back to you again and again. Check out the Referral Partner Programs section below. And we could always leave the back door unlocked during the day." When looking into getting a security in the California it's important to look into customer reviews and ratings of CA Security Companies. There are many different home alarm companies in California so it can be hard to determined which company in CA is your best choice.